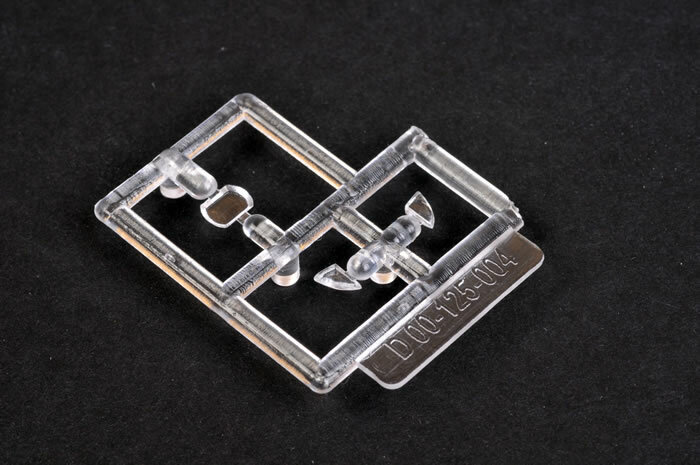 Contents and Media: 78 parts in light grey plastic; three parts in clear. Markings for two aircraft. 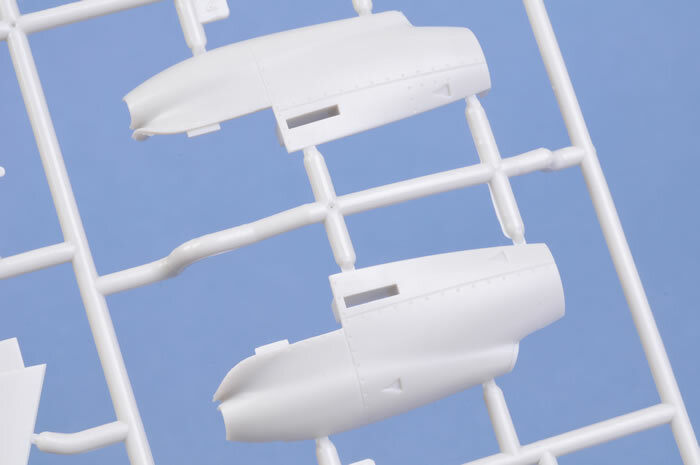 Advantages: First injection-moulded model of a Reaper in 1/48 scale; high quality moulding; nicely recessed surface details; delicate detail; simple parts breakdown and assembly; ordnance supplied; high quality decals including stencil markings. Conclusion: Skunkmodels Workshop is carving itself a niche in the 1/48 scale UAV market with last year's huge 1/48 scale Global Hawk and now this very nice Reaper. It is well detailed but with only 82 parts including ordnance, should be a fast build too. The MQ-9 Reaper is a high altitude, long range Unmanned Aerial Vehicle currently in service with numerous military and civilan arms of the US Government, plus Italy and the United Kingdom. 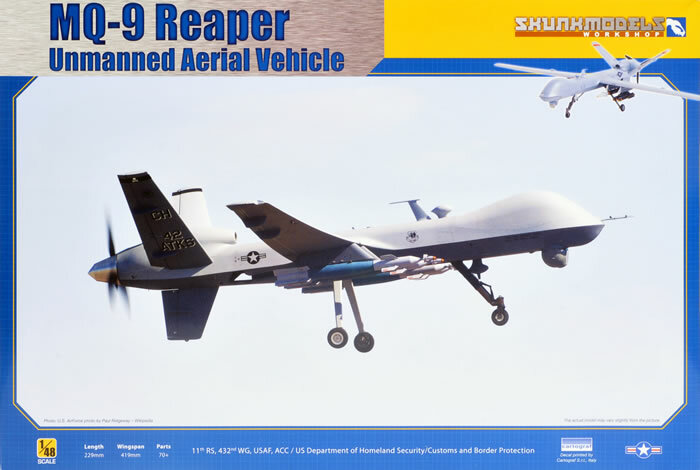 The Reaper represents a significant improvement over the groundbreaking MQ-1 Predator, with more than double the speed and maximum altitude of its predecessor. It can also carry 3,000 pounds of weapons, including up to 14 Hellfire missiles, or GBU Paveways, JDAM bombs, Sidewinder missiles and more. 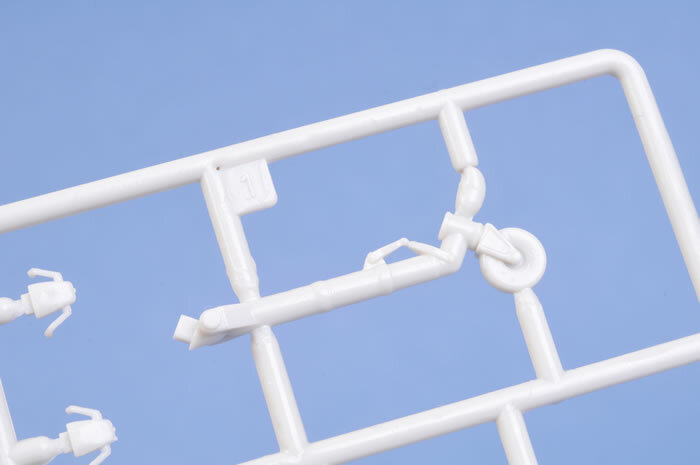 Skunkmodels Workshop is the first model company to produce the MQ-9 Reaper as an injection moulded kit in 1/48 scale. 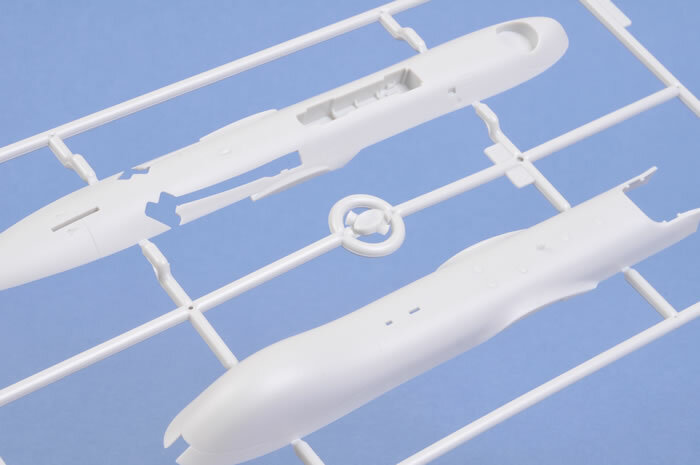 Skunkmodels' 1/48 scale scale MQ-9 comprises just 78 parts in pale grey plastic and a further three in clear. 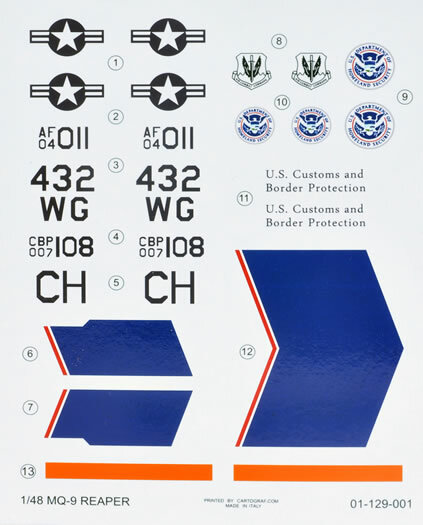 Markings are supplied for two aircraft. 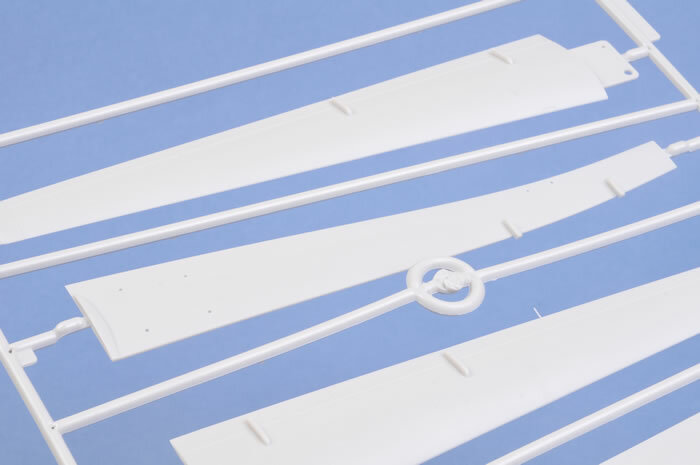 The wing span is 418 mm - a very respectable size but easier to fit on your display shelves than the Skunkmodels Global Hawk! Moulding quality is very good. The panel lines are recessed. Detail nicely done around the engine nacelle, propeller assembly plus well-rendered undercarriage legs and wheels. Also included are four AGM-114 Hellfire missiles and two GBU-12 Paveway II Laser Guided Bombs. 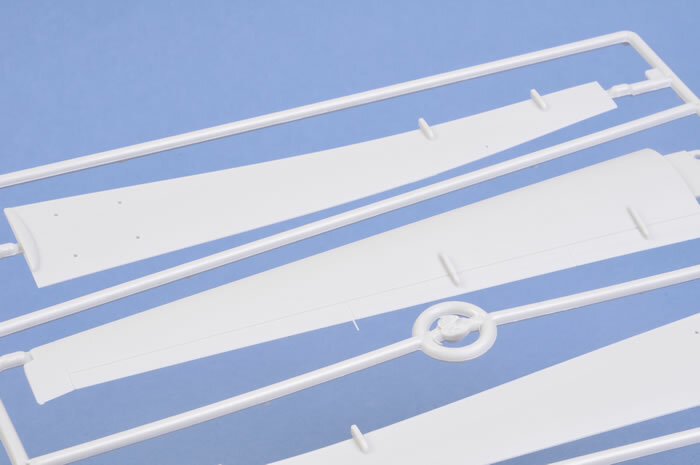 Clear parts are provided for the camera lens and the wingtip navigation lights. Decals printed by Cartograf. They are in register and appear to be very high quality. 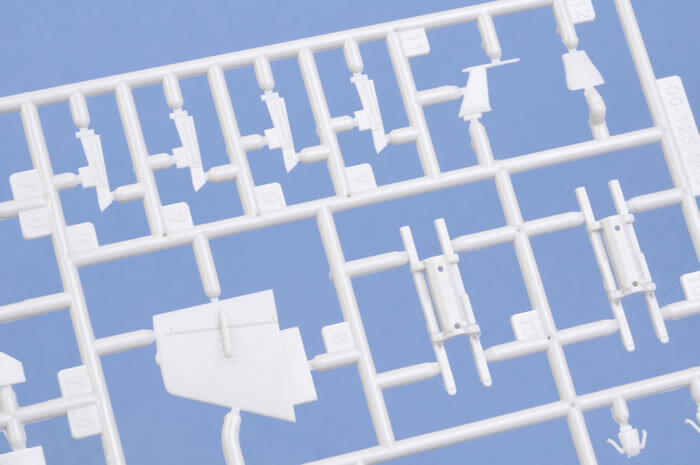 A small separate decal sheet is also supplied for the weapons. 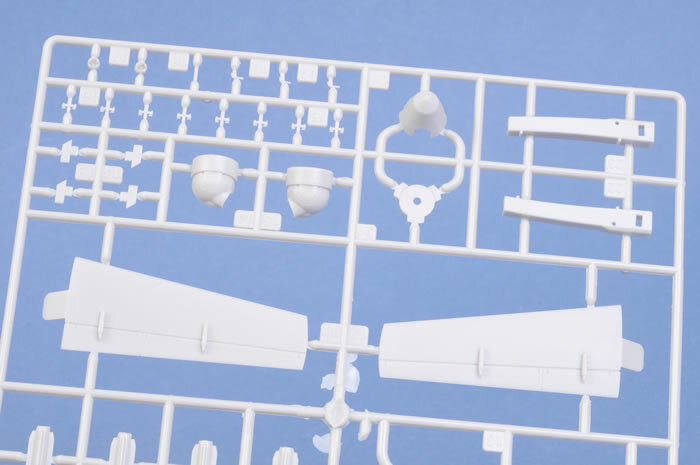 With only 81 parts, the kit breakdown is simple. The fuselage is supplied in top and bottom halves, betweem which the separate wing halves are trapped. Speaking of the wings. each is also made up of a top and bottom half. 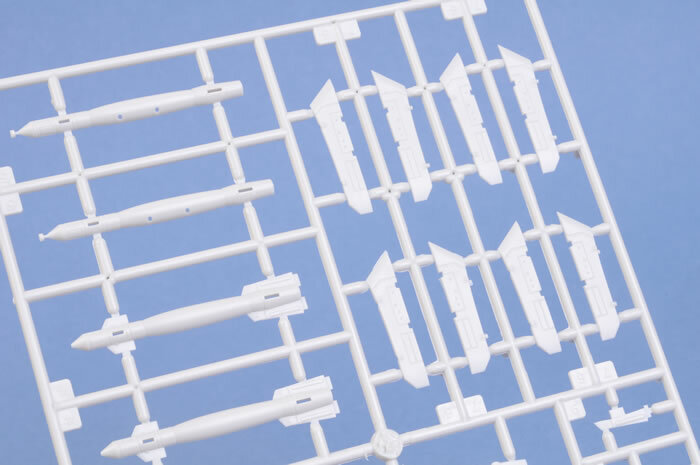 On my sample, the thin bottom wing halves were bowed between the stout sprue connectors, but they are easy to straighten when freed, and the upper wing halves are reinforced with no sign of warpage or bending. 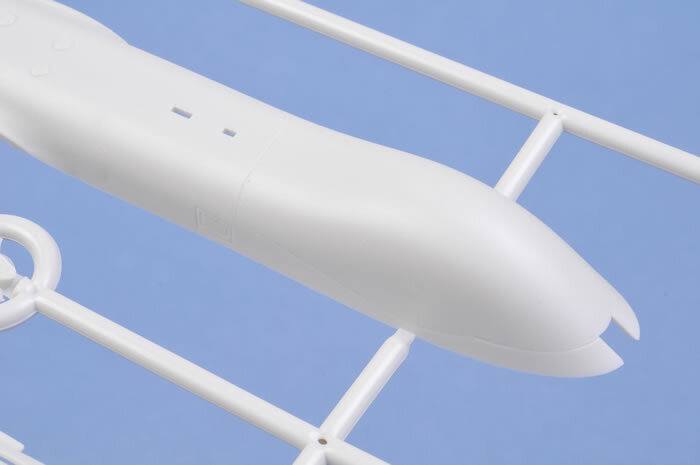 Skunkmodels Workshop is carving itself a niche in the 1/48 scale UAV market with last year's huge 1/48 scale Global Hawk and now this very nice Reaper. 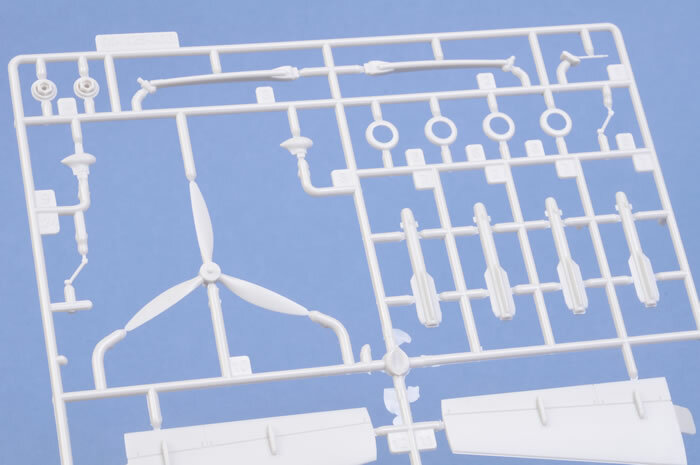 It is well detailed but with only 82 parts including ordnance, should be a fast build too. At less than USD$26, it is good value too!